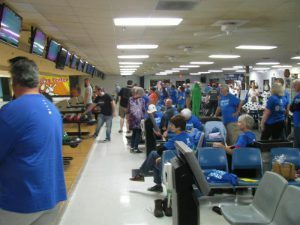 The Strike Out Child Abuse Bowling Tournament, hosted by the Exchange Club of Rome, had a full house for the tournament recently. This year a 2nd session was added so that more teams could participate. Preliminary figures show that there were 31 teams participating and the club netted $9,280!